As research director for AGWM, Bob Friesen oversees the research, collection and processing of world missions statistics for use by AG departments, missionaries and churches. He also directs the AGWM archives, the Unreached People Groups office, and the risk management program, a safety-training program for missionaries and associates. A missionary kid, Bob was born in Belgian Congo (now Democratic Republic of the Congo) where his parents, John and Lucille Friesen, served as missionaries. At the time, Congo was a volatile place to live. Bob vividly remembers armed Congolese soldiers bursting into his home—a frightening experience for a 3-year-old. Eventually the Friesens transferred to Tanzania, and Bob attended boarding school in neighboring Kenya. By the time the family moved again—this time to South Africa—Bob knew he wanted to have a lifelong involvement in missions. Returning to the United States after high school, Bob attended Central Bible College. 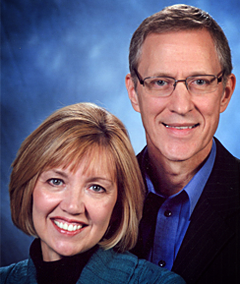 Soon afterward, he and his wife, Sandy, went as missionary associates to South Africa. They later served as youth pastors in Poulsbo, Washington. From these early ministry experiences, Bob learned basic communication in three languages—Bingala, Swahili and Zulu. He also came to understand the important link between productive ministry and the effective management of resources. His involvement with AGWM has given him multiplied opportunities to use his management skills to assist missionaries worldwide. Since 1986 Bob has served in several capacities for AGWM. For eight years he was MK specialist, coordinating ministry to 1,200 MKs (missionary kids) around the world. From 1994 to 2003 he was manager of AGWM Personnel and Member Care and supervised the annual Missionary Training and Missionary Renewal sessions. He became AGWM research director in 2003. Bob has a bachelor’s degree in biblical studies from Central Bible College, a master’s degree in biblical languages from Assemblies of God Theological Seminary, and a Master of Business Administration from Missouri State University. He and Sandy have three children—Rhyan, Dustin and Natasha—and are co-authors of Reach Around the World, a book of missions activities and information for use in children’s and youth services.